Recently I made the decision to try a (mostly) plant-based vegan diet. I say mostly because I just can’t quit cream in my coffee or milk in my oatmeal! 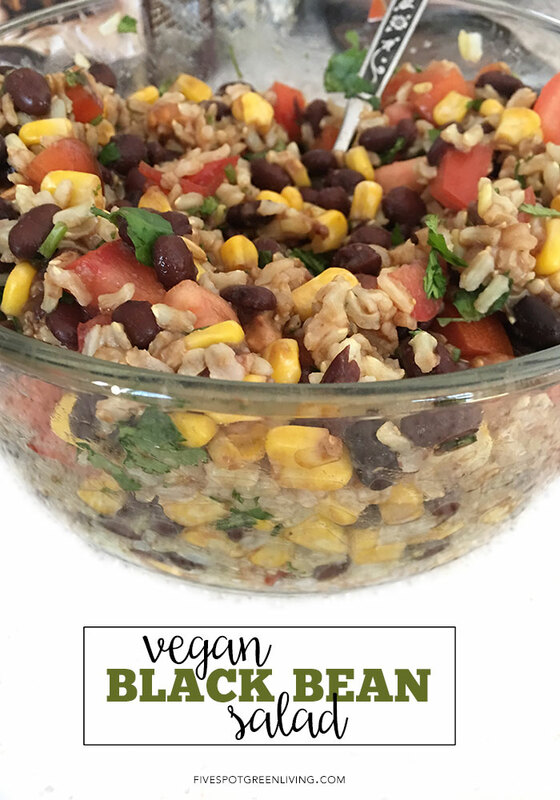 One of the first healthy recipes I tried was this Vegan Black Bean Salad which I didn’t think would fly without cheese or sour cream but let me tell you it was SO good. SO filling. And SO healthy. I’ve always loved beans and vegetables and thought veganism was all about tofu and weird things I didn’t like. But to my surprise, I learned it isn’t ALL about tofu. There are plenty of recipes that can be made vegan without it. Thank goodness for me! If you need something creamy in this salad to make it a little bit more rich, try adding avocado chunks. I didn’t but it probably would have been so good. Following a healthy, balanced vegan diet ensures a person reaps the rewards of good health as well as prevention of some of the major diseases striking people in North America. When I told my doctor Iw as attempting to follow a vegan diet, she had a look of horror on her face. I was so surprised I thought she would be happy! But modern medicine seems to still believe that meat is the best source of protein. But there are plenty of places to get the right amount of protein in a vegan diet – Read this post on Top 10 Vegan Protein Sources to see. Vegan diets are becoming so mainstream you can even find cookbooks dedicated to vegan recipes as well as go to a party or gathering and find vegan options like these 10 Delicious Vegan Healthy Appetizer Ideas. Add beans, tomatoes, corn, and onion to a bowl (glass looks pretty) and mix. Rinsing the beans well keeps the salad from looking gray. Add cilantro, lime, and balsamic vinegar and mix again. Serve alone or with cucumber open-faced sandwiches for a perfect meal. Add beans, tomatoes, corn, onion, and water chestnuts to a bowl (glass looks pretty) and mix. Rinsing the beans well keeps the salad from looking gray. Add cilantro, lime, and balsamic vinegar and mix again. Serve alone or with cucumber open-faced sandwiches for a perfect meal. Oh no! Thanks for letting me know. It’s there now. This is one of our favorite summer side dishes! Sometimes we scoop it up with tortilla chips. 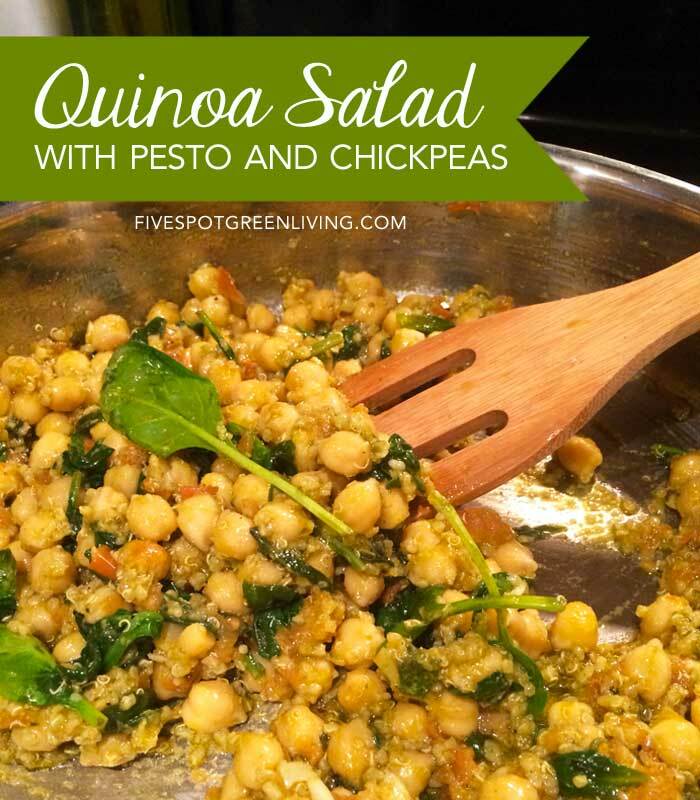 Such an easy, quick salad to throw together for a light summer lunch! I love the bright flavors of lime juice and cilantro with the savory beans. 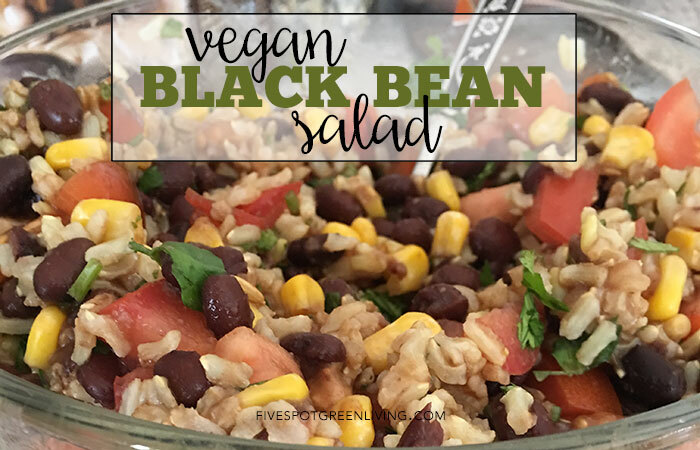 I love how easy this salad is to make and the flavors are incredible! It’s one of my favorite lunches. This sounds delicious! In the picture it looks like there is brown rice in the salad? Also, water chestnuts are mentioned but no amount is given in the ingredients list.